The First Aberdeen bus operation has a new man at the helm. 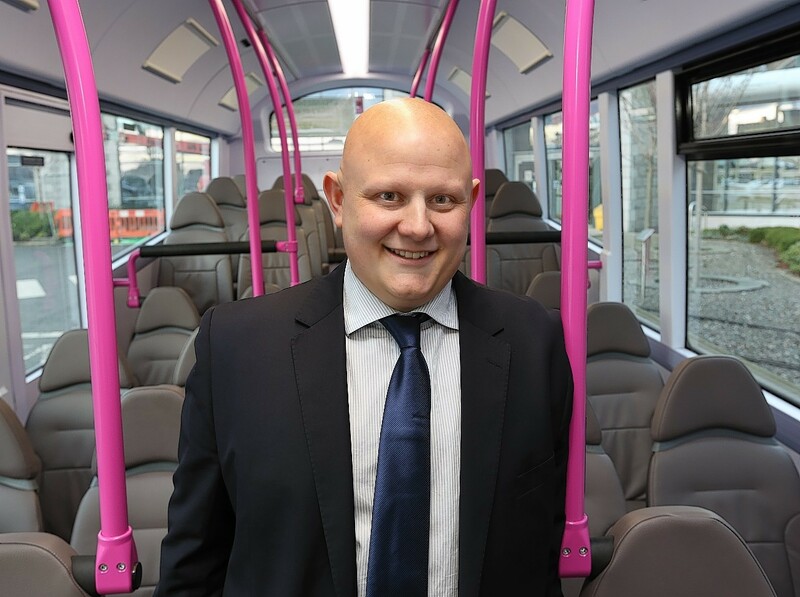 David Phillips, who has been with transport giant FirstGroup in a variety of roles since he joined it as a graduate recruit in 2012, is now steering the bus fleet in its home city as managing director. He takes over from Duncan Cameron, who is joining road transport and logistics company ARR Craib as performance director in the new year. First Aberdeen transports about 50,000 people a day on its 175 buses. The business employs more than 500 people. Mr Phillips will be in the firing line for disgruntled passengers if buses do not run on time, fares go up or routes are cut. His past roles with FirstGroup include spells in Yorkshire, Staffordshire and more recently Glasgow where he was a general manager responsible for four bus depots. Dave Alexander, regional managing director for First UK Bus, said: “I’m delighted to confirm David’s appointment as new managing director for First Aberdeen. Mr Phillips, who hails from Grantown, said: “I am very much looking forward to the challenge of taking over the reins at First Aberdeen. “I’m joining a fantastic team, with a strong track record of success. “My job is to keep up the momentum and continue to improve our services. He will take up his new role on Monday, January 12.